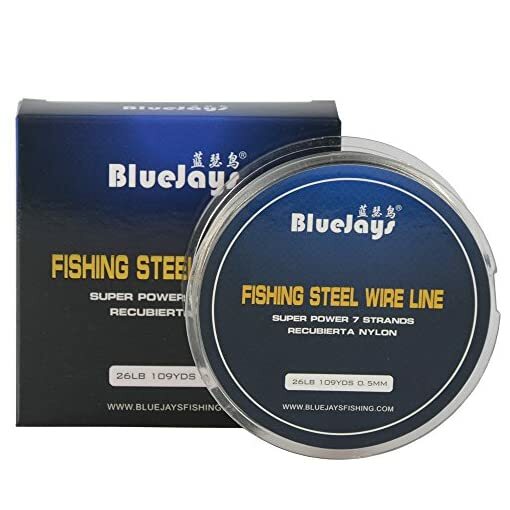 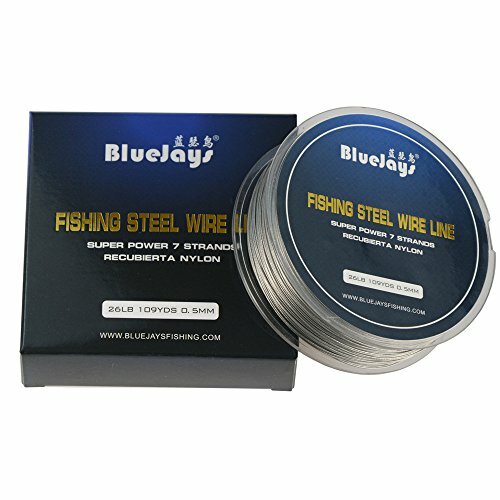 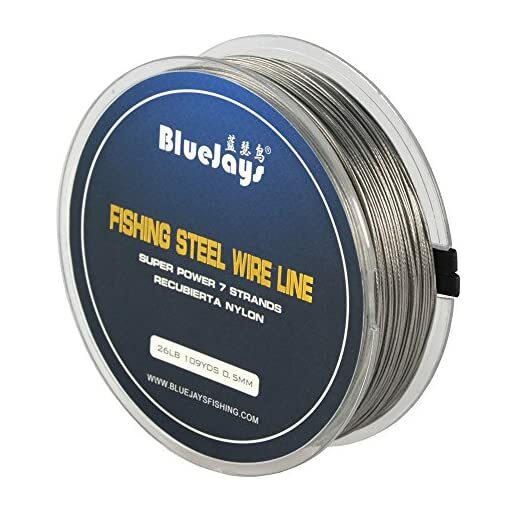 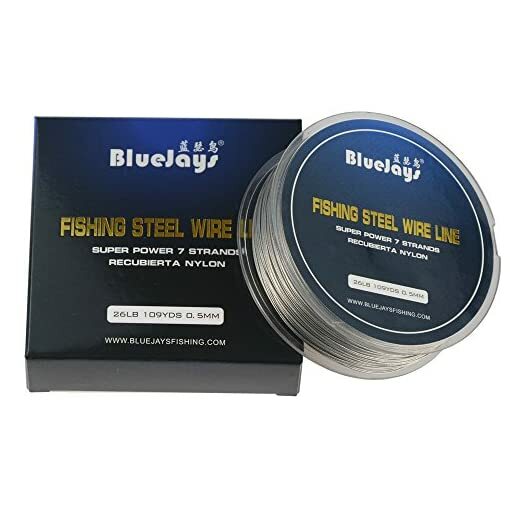 Categories: Fishing Gear, Fishing Line, Lead Core & Wire Line. 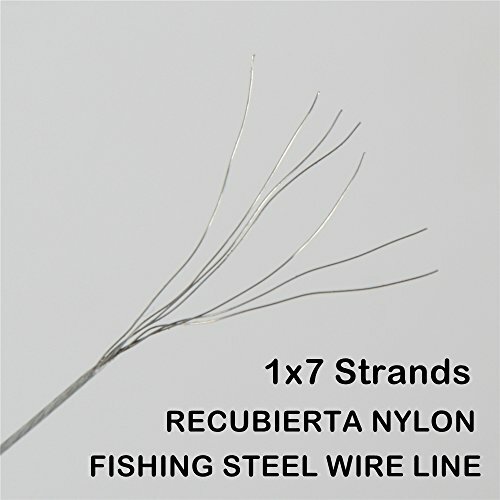 This wire is our Surfstrand 1×7 stainless steel with a smooth coating of nylon. 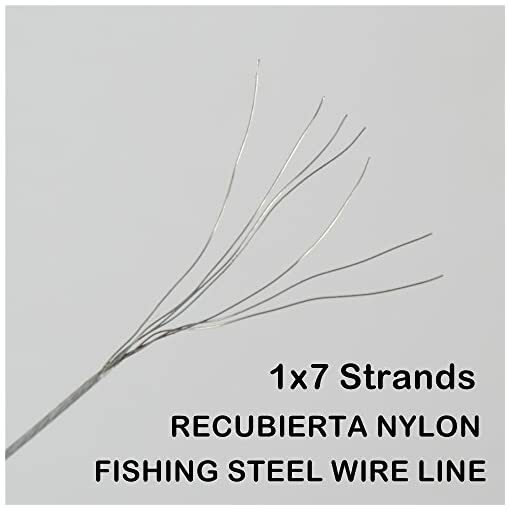 A specially selected grade of nylon, tough yet flexible, is used to seal out water, reduce visibility, and improve the life of the line. 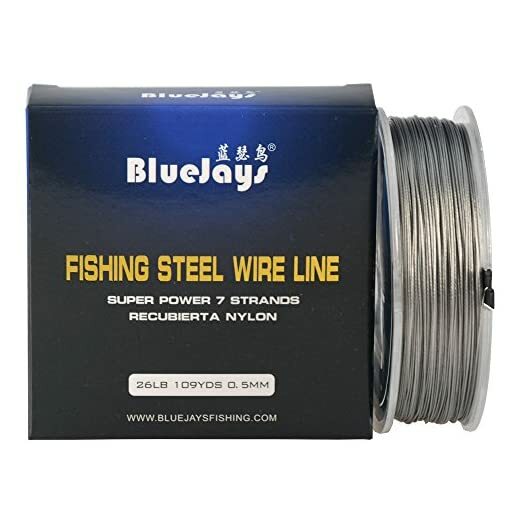 Compared to old style 1×3 construction, BlueJays’s 1×7 construction offers higher break strength and more realistic action. 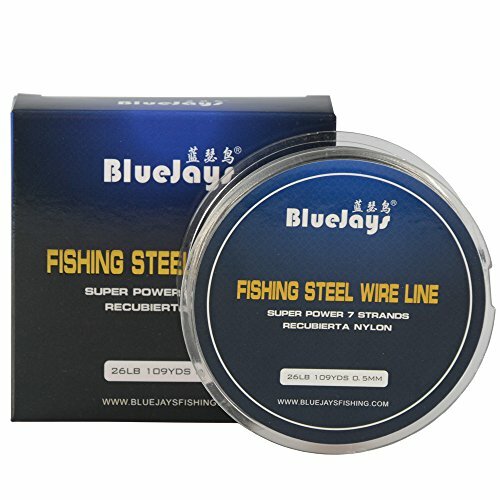 BlueJays 1×7 is an effective leader wire for hard-charging, toothy fish such as Bluefish, Muskie and Mackerel.